Hurricane Maria plunged the already-pummeled Puerto Rico into total darkness on Wednesday, knocking out the island’s power grid with category 4 winds up to 155 mph. In Philly, those with ties to the island prepared to ramp up support for its residents, who already suffered a devastating blow from Hurricane Irma just two weeks ago. Dr. Carmen Febo San Miguel, executive director of North Philly’s Puerto Rico and Latino arts organization Taller Puertorriqueño, said people in Philly are reeling from the news and trying to get in touch with loved ones on the island. Taller’s supporting Unidos PA’ Puerto Rico, a hurricane relief fund/social media campaign launched by Philly nonprofit El Concilio. 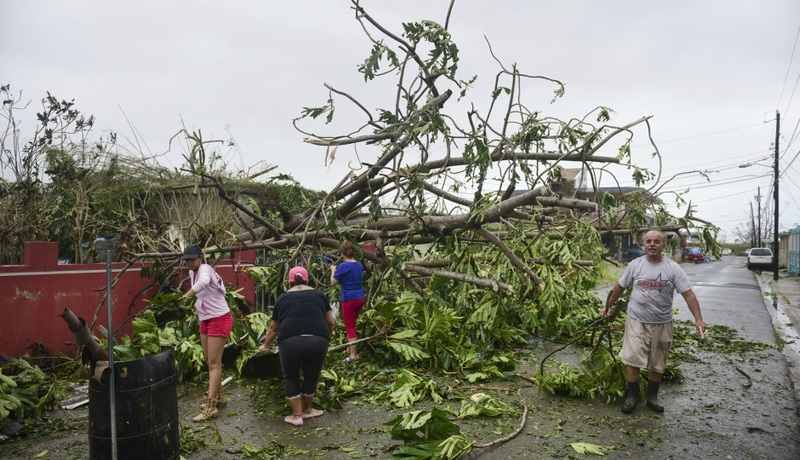 Maria’s destruction comes in the midst of Puerto Rican Week, which Concilio holds annually. The organization will host the Puerto Rican Parade between noon and 2:30 p.m. on Sunday at the Benjamin Franklin Parkway. Concilio expects around 1,500 marchers and 5,000 attendees at the event, where organizers plan to continue to raise money to support loved ones in Puerto Rico. Officials estimate that months could pass before power is fully restored on the island. For the latest information on Hurricane Maria, which began to near the coast of the Dominican Republic on Thursday morning, visit the website for the National Hurricane Center or check live updates via the New York Times.